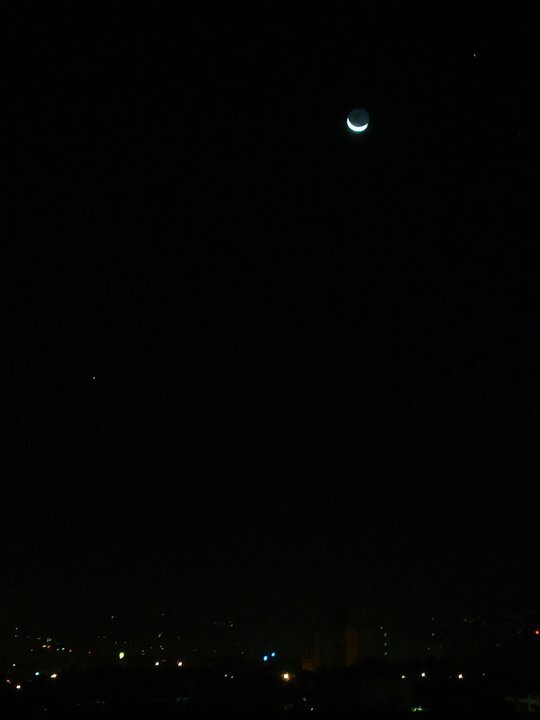 As I prepared to observe the Orionid Meteor Shower last October 22, a nice celestial pairing of the waning crescent Moon (22% full) and the tiny planet Mars greeted my view. These two were roughly 8 degrees apart during this conjunction and were located just slightly above “the Sickle” in Leo. Unfortunately, the glow from the light-polluted city made the 1.2 magnitude Mars (on the upper left of the image) difficult to notice with the naked eye. 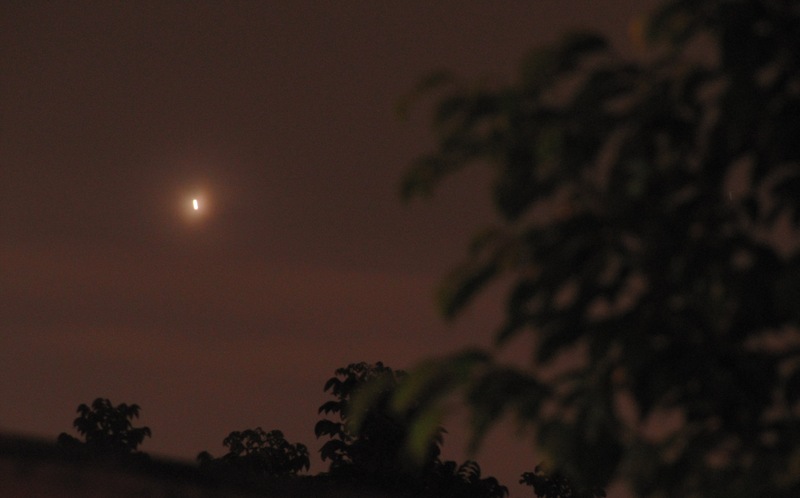 Mars appears to be like a plain bright red star right now that rises in the east during the wee hours after midnight. In the months ahead, Mars will brighten and will also rise earlier at night. By December 2011, this planet will climb over the eastern horizon before midnight. 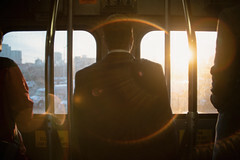 In January 2012, it’ll be up by mid-evening, and even sooner on February 2012 evenings. Mars will come closest to Earth in March 2012. It will be out from dusk till dawn, shining about nine times more brightly than it does at present. Even so, Mars won’t be nearly as bright as the planets Venus or Jupiter. 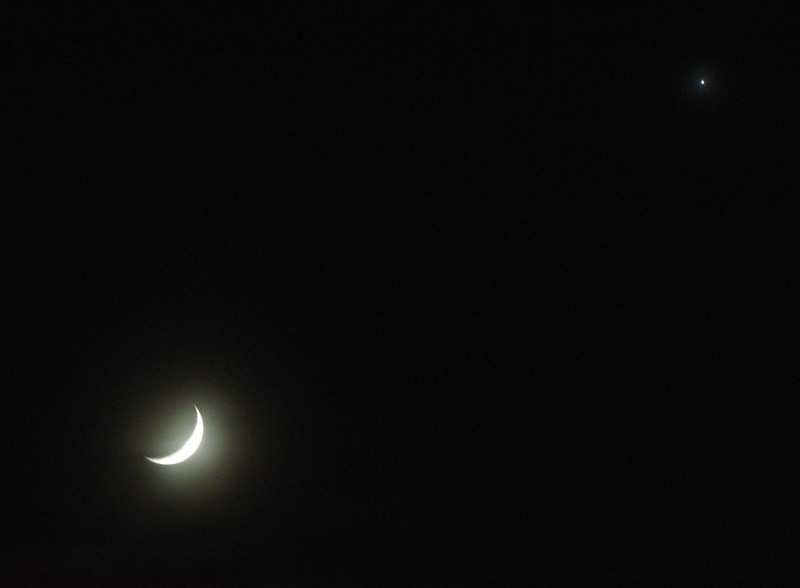 Last Jan. 25, Saturn, Spica and the Moon formed a beautiful triangular celestial grouping. During the following days, early risers can watch the waning crescent Moon pass bright Venus, with Antares and Scorpius looking on. 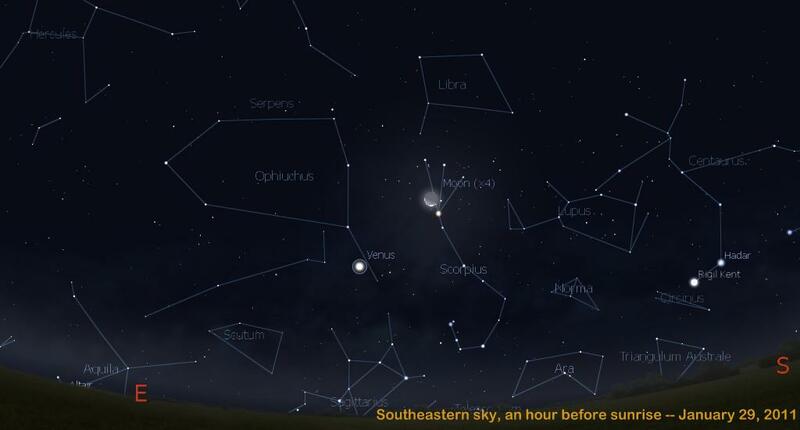 Check southeastern sky a few hours before sunrise. Heavy smog caused by the cold, foggy weather and smoke generated by firecrackers and fireworks from the New Year’s Eve celebration blanketed our suburban place during the early morning of January 1st. 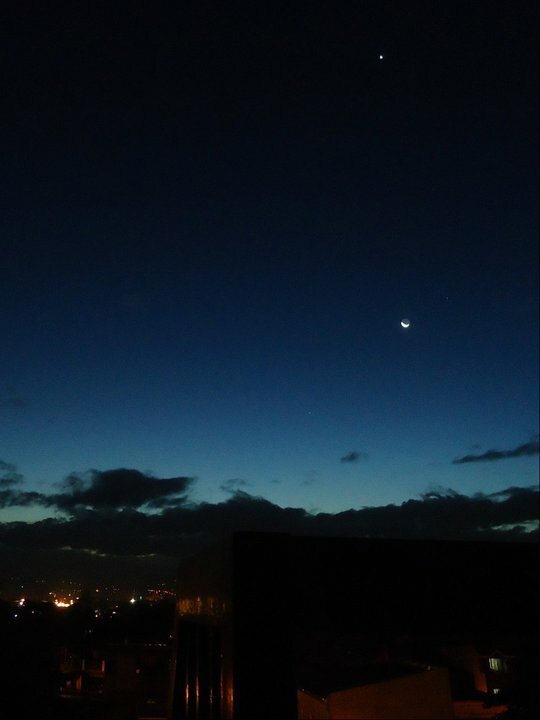 Despite this, I was still lucky enough to have witnessed even just the nice pairing of Venus and the Moon in the Eastern sky, a few minutes before sunrise. Below are some of the images I took using my point-and-shoot Kodak C813 8.0 megapixel digital camera. Images were a bit blurry because I didn’t use a tripod. 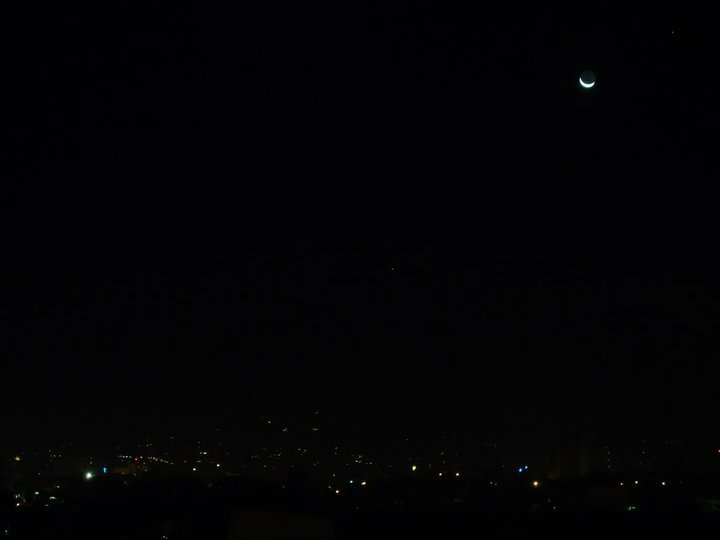 A thin old Moon to the lower right of the planet Venus (1/1/11 at 5:47 AM) Mercury, the red star Antares and Saturn were difficult to see because of the smog. Click on the images to enlarge. 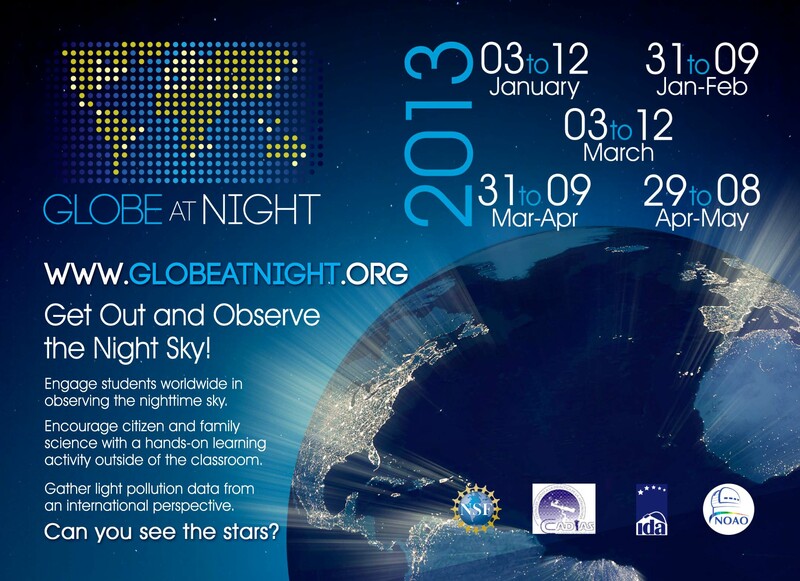 Philippine nights will be longer as the Sun approaches the celestial equator. Autumnal equinox will occur on September 23 when day and night will have approximately equal length on Earth.This point is also called as First point of Libra. The rich band of constellations and stars along the Milky Way from the constellations Cygnus, the Swan, in the north to Sagittarius and Scorpius in the south, begin to give way this month to fainter constellations, many of them with watery associations such as the constellations of Capricornus, the Sea Goat, Aquarius, the Water Bearer and Pisces the Fish. 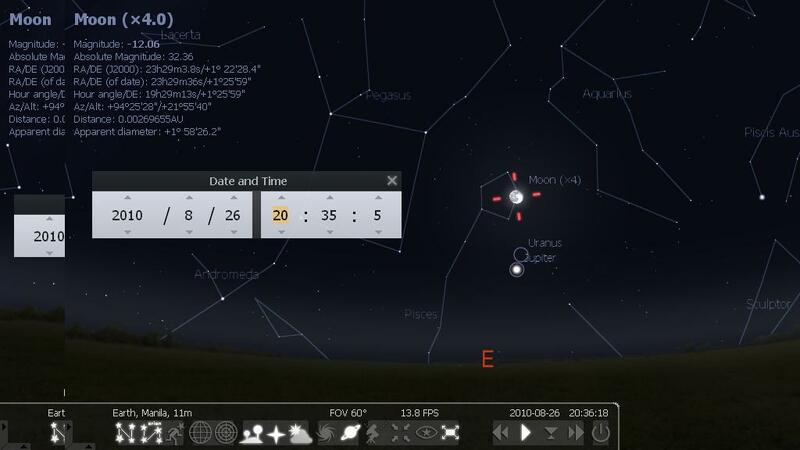 The famous asterism Teapot in the sky in the constellation of Sagittarius can be observed at about 40 to 47 degrees above the southern horizon, an hour after sunset as shown below. Also, flying high in this month’s sky is the mythical winged horse Pegasus. Although one of the largest constellations in area, it boasts no bright stars. Its most noticeable star pattern is the Great Square of Pegasus: four second magnitude stars marking the body of the horse. Ironically, the brightest of those stars, Alpheratz, isn’t even an official member of the Pegasus constellation, being part of the neighboring constellation Andromeda. The brightest star in Pegasus isn’t part of the Square: it is Enif, the Arabic word for “nose.” It marks the head of Pegasus, off to the west. As you look further south, you can see Piscis Austrinus, the southern fish, with the only bright star in the region: Fomalhaut. Fomalhaut, which is 25 light-years from Earth, made headlines in 2008 as one of the first stars to observed to have a planet that was directly imaged with telescopes. To the east of Fomalhaut is another huge dim constellation, Cetus the Whale, with the only other brightest star in the area, Deneb Kaitos, which means the tail of the whale. Cetus also contains the variable star Mira. Currently this star is too faint to be visible with the naked eye, but over the next few months it will start climbing in brightness until it becomes one of the brightest stars in this constellation. Normally this sea world is a dim and mysterious place, with only one bright star, Fomalhaut. But this year it is enlivened by a visit from the giant planet Jupiter, right on the border between Pisces and Aquarius. The tight grouping of Venus, Mars, Saturn, and Spica ends its spectacular run this month. 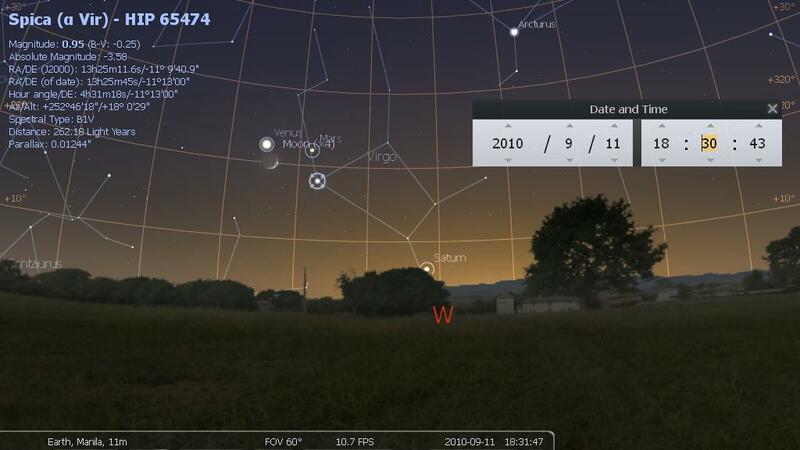 All four are low in the western sky at nightfall as September begins, but Saturn drops from sight early in the month. Mars and Venus are still in the sky by month’s end, but they shine for only a little while before dropping below the horizon. By that time, however, the night sky’s next-brightest object, the planet Jupiter, is climbing skyward in the east, and will shine brilliantly throughout the night. Mercury will shine brightly at magnitude -1 as it reaches its greatest elongation west on September 20 (18° from the Sun). For early risers, Mercury makes its best morning appearance of the year on the second week of September. 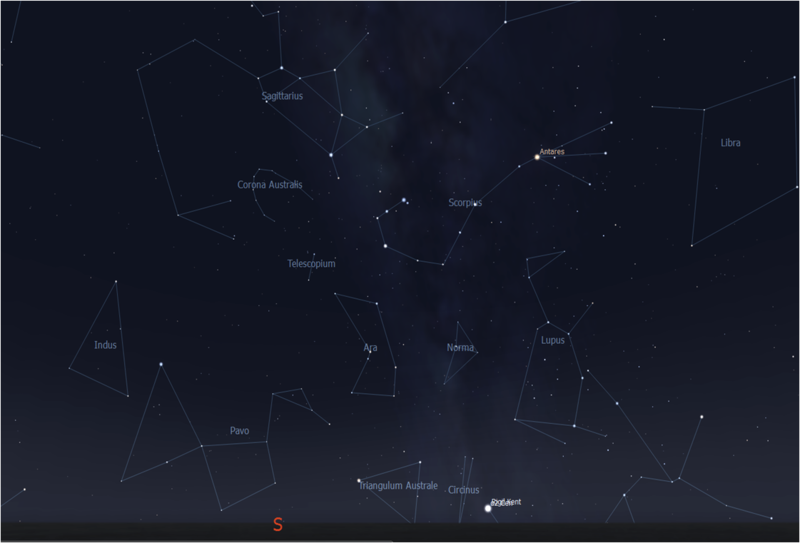 Look in the constellation of Leo the Lion near his lower foot star, Rho Leonis. The two objects are 20 arcminutes apart on September 16 and 17. Venus continues to be prominent in the evening sky, though also low for northern hemisphere observers, at around magnitude -4. 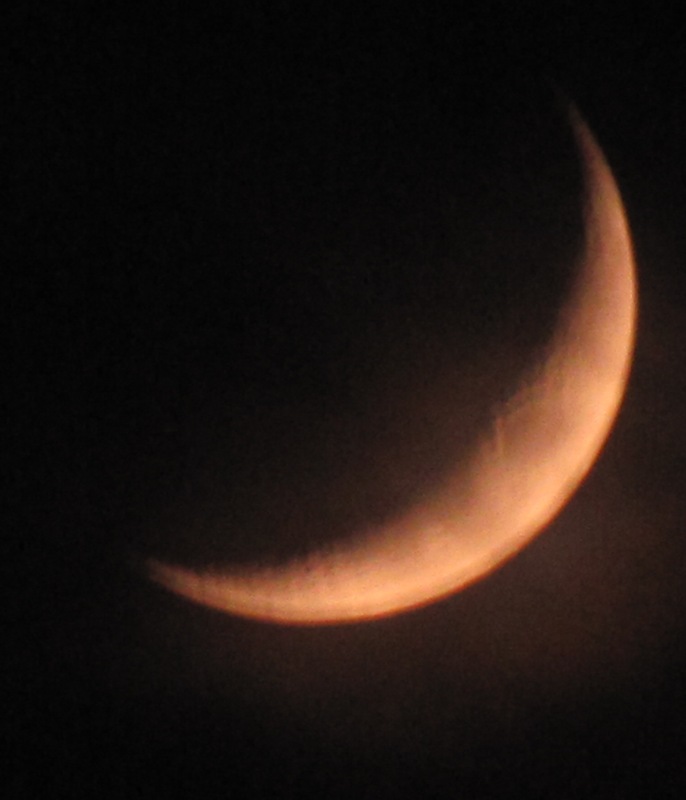 The crescent Moon, less than 3° away on September 11 will make an attractive pairing. On the 24th, Venus will reach its peak magnitude of -4.6. Mars is now shining very low in the evening twilight sky. This month +1.5 magnitude Mars starts a few degrees to the upper right of brilliant Venus. Though the planets will slowly move apart they will stay within 7° of each other all month long.On September 11, the Moon will pass with 5° of the planet. Giant planet Jupiter is now top target for planetary observers, dominating the night sky and rising in the east as it is getting dark at a bright magnitude of -2.9 in Pisces. The planet is putting on a show for those with reasonable sized telescopes, having lost one of its prominent dark belts and with its two red spots in close proximity. On the 21st, Jupiter will be at opposition,means it will be visible all night long, rising in the evening, reaching its highest elevation around midnight and setting during dawn. Saturn is located low in the west during evening twilight. By month’s end the +1.0 magnitude planet will be too close to the Sun to be seen easily by most observers. On September 9,the Moon will be within 7° of Saturn. 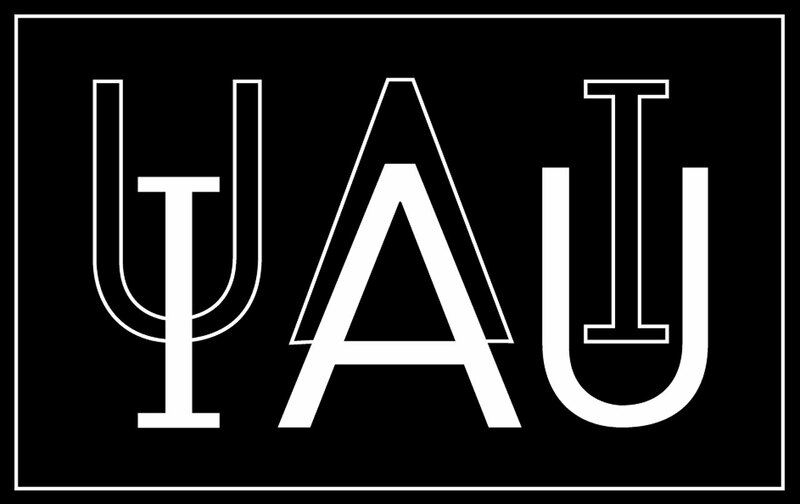 Uranus will lie within one degree of Jupiter in Pisces between September 12 and 25, making the giant planet a good signpost to finding its more distant cousin. On the 22nd, it will also be at opposition. If given a clear dark sky and no moonlight, it can be spotted with the unaided eye at magnitude of 5.7. 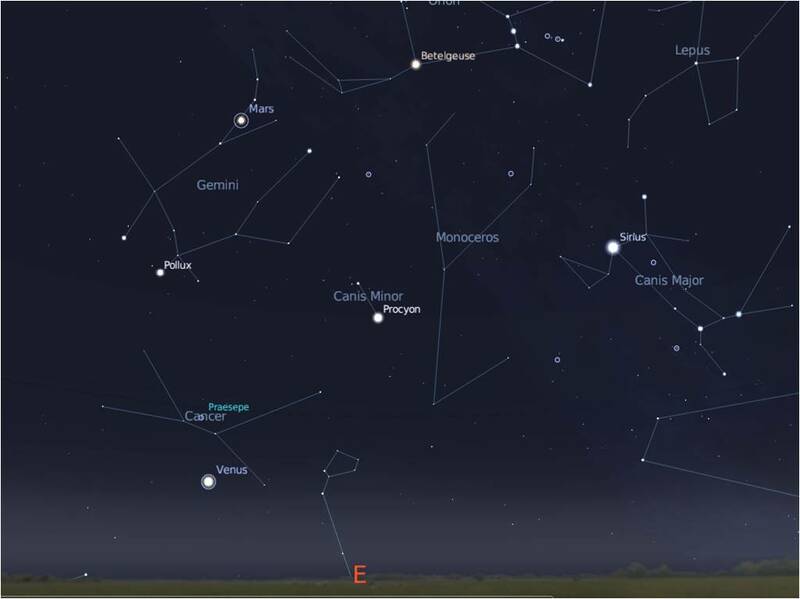 Neptune will be found among the background stars of the constellation Capricornus, the Sea-Goat and will be standing 42 degrees above the east southeastern horizon at around 7:00 PM (PST) on the 19th of the month. A modest size telescope will be needed to observe the bluish planet. Sporadic meteors are not part of any known meteor shower. They represent the background flux of meteors. Except for the few days per year when a major shower is active, most meteors that are observed are Sporadics. This is especially true for meteors observed during the evening. During September, 10-16 or so Sporadic meteors can be observed per hour from a dark moonless sky. Minor showers produce so few meteors that they are hard to notice above the background of regular meteors. Information on most of the minor showers will be provided on a weekly basis by Robert Lunsford’s Meteor Activity Outlook this month. Additional information on these showers and other minor showers not included here can be found at the following sites: Wayne Hally’s and Mark Davis’s NAMN Notes, and the International Meteor Organization’s 2010 Meteor Shower Calendar. The brightest star in Pegasus isn’t part of the Square: it is Enif, the Arabic word for “nose.” It marks the head of Pegasus, off to the west. 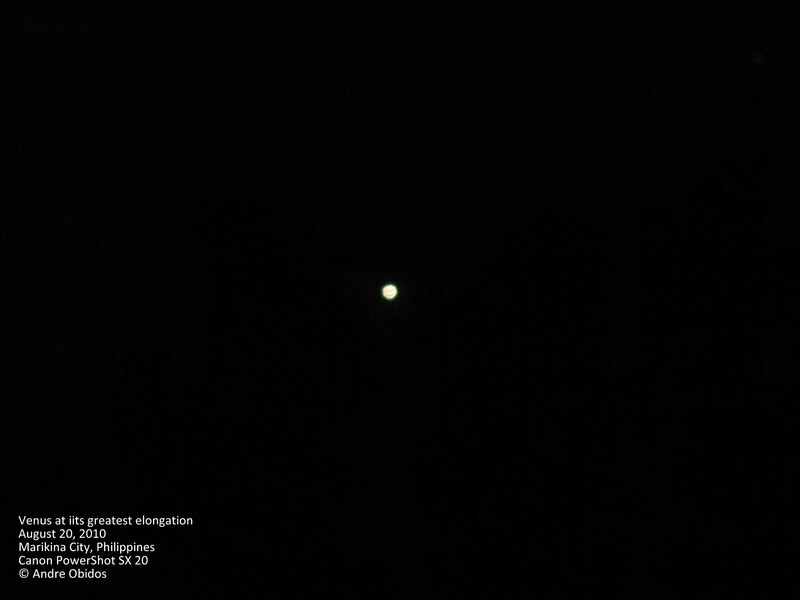 The planet Venus has reached its greatest eastern elongation, or its maximum angular separation (visual distance) from the Sun as observed from the Earth, last August 20. The inferior planets, Venus and Mercury, are best viewed during their greatest elongation. 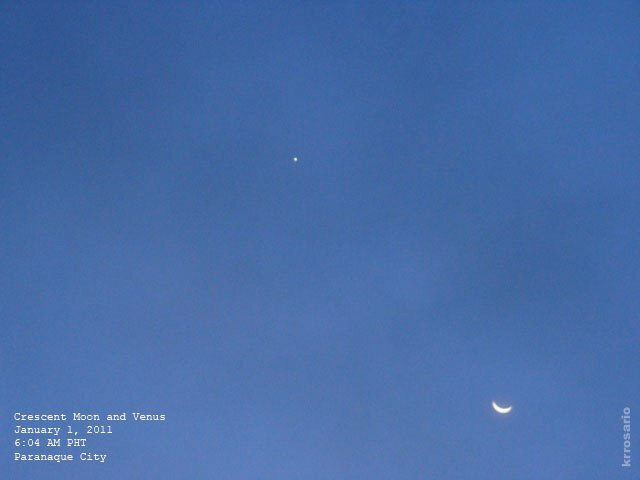 On that night, Venus appeared higher and brighter in the evening sky. 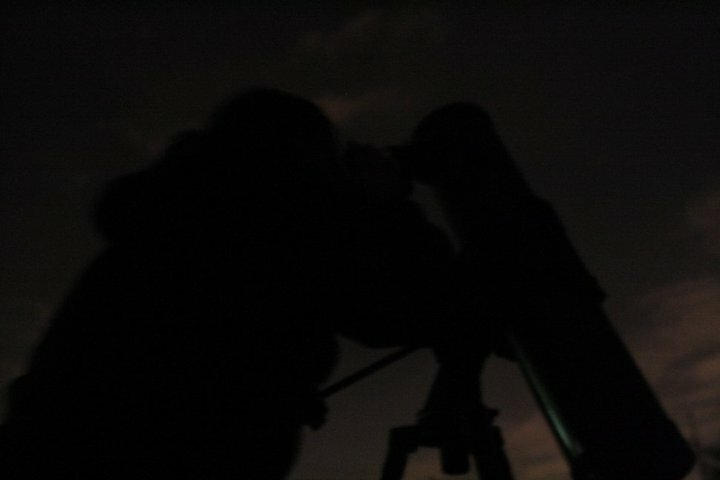 During this appearance, I and my fellow UP AstroSoc member, Andre Obidos saw our nearest planetary neighbor hanging about 20 degrees above the western, an hour after sunset. For comparison, your fist held at arm’s length covers roughly 10 degrees of the night sky. 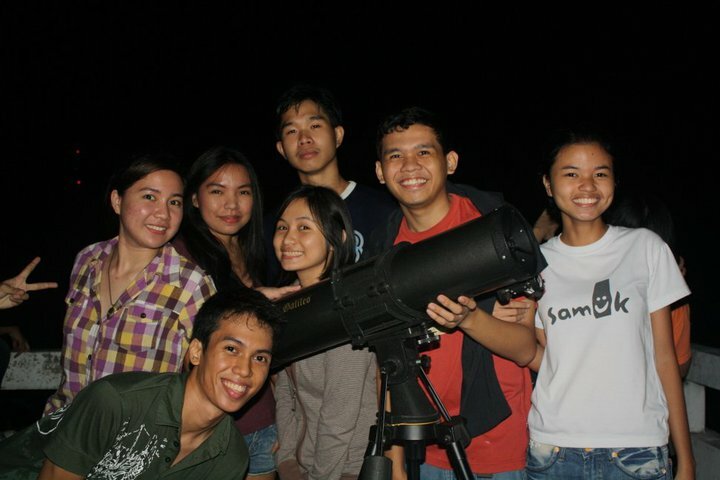 We were really amazed by its dazzling display during that night. 😀 One may not easily tell that it was indeed a planet. Shining at -4.22, it was the brightest object then, aside from the waxing gibbous Moon. 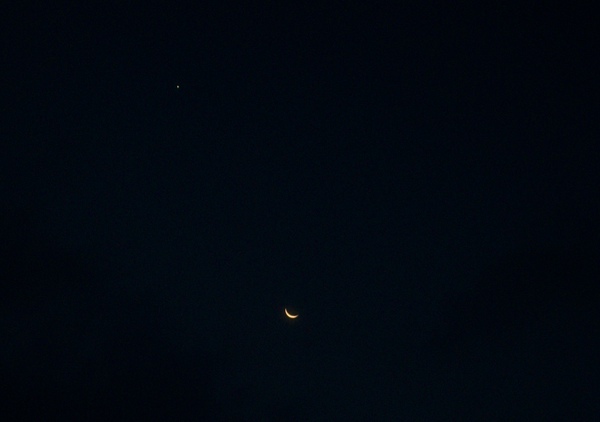 Unfortunately, fainter Mars and Saturn which were lying about a few degrees from Venus were not easily visible. Below are the images which Andre took. Last year, Venus, the planet named after the Goddess of Love, reached its peak of brightest just after Valentine’s Day 2009. If observed through a telescope, it can be noticed that Venus was one half lit by reflected light from the Sun and the other half in dark. 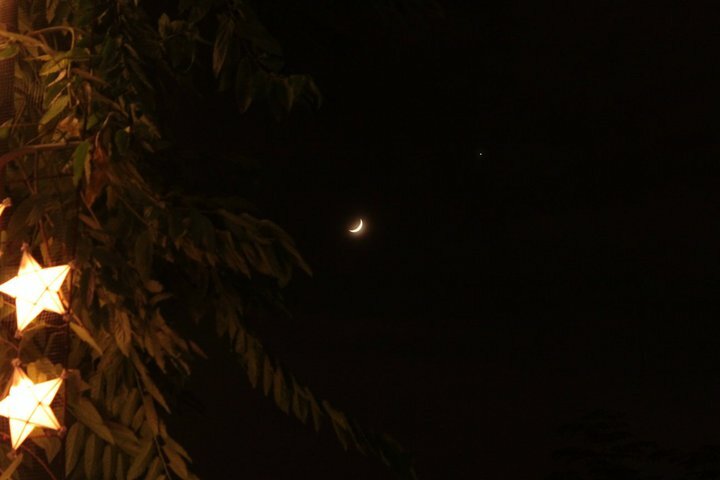 Just like the Moon, Venus has phases. 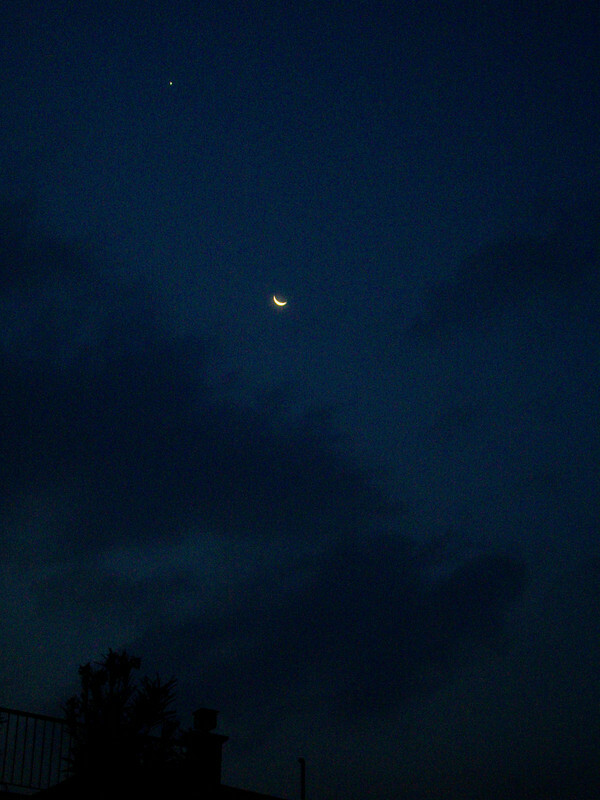 It can be full, gibbous, half or a crescent. These phases occur for the same reason that Moon phases do. 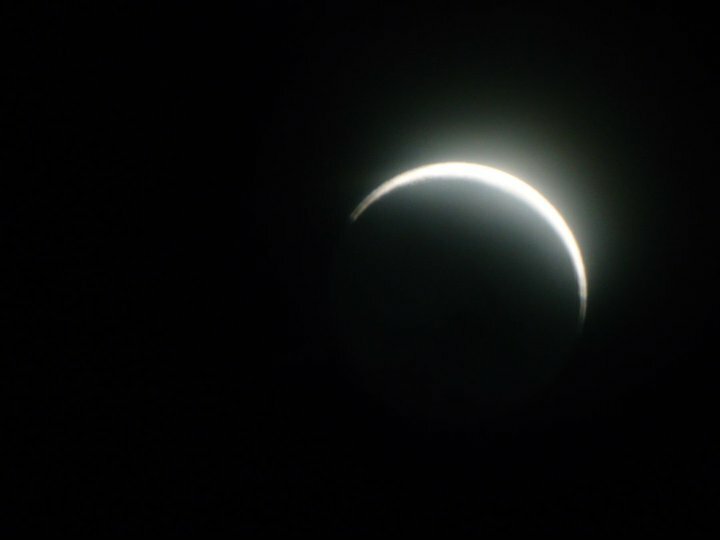 One side of Venus is sunlit (the “dayside”). The other side is dark (the “nightside”). As Venus orbits the Sun it turns one side, then the other, toward Earth. 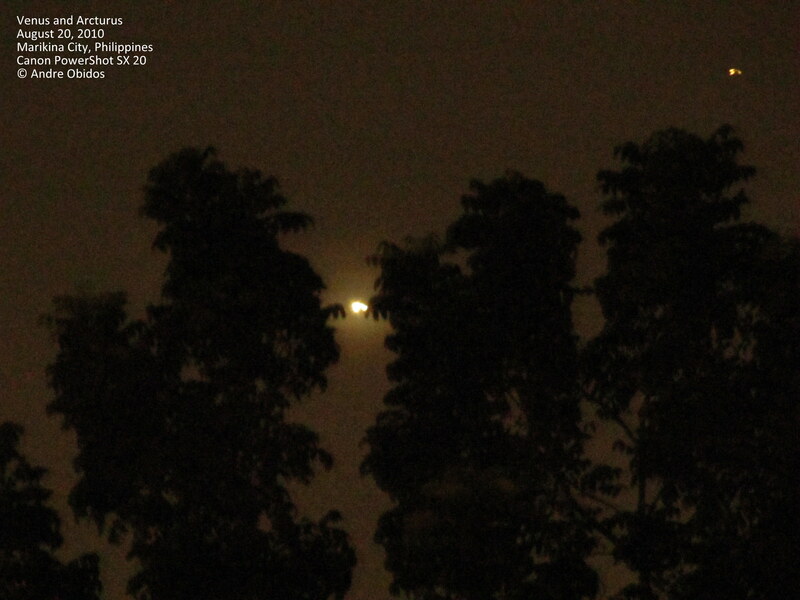 At the moment, Venus is turning its nightside toward us. 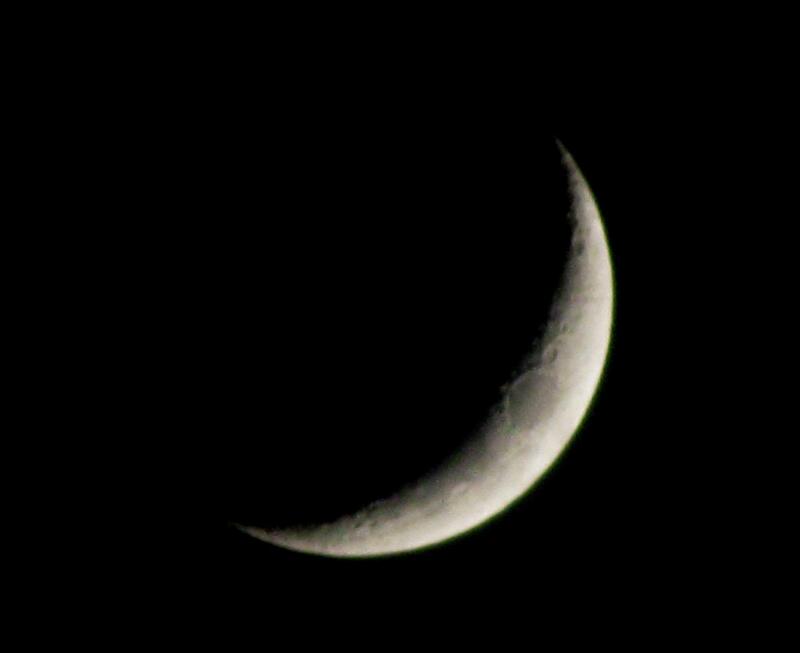 We can see only a sliver of the dayside–hence the crescent. By October 2010, Venus will end its reign as it goes lower and lower in the sky. It will reach its peak magnitude of -4.6 on September 24, about 23 times brighter than Sirius, the brightest star. But in mid-October, Venus will dim to -4.3 and will set with the sun until it passes inferior conjunction on Oct. 28. In November, it will enter the dawn sky as the “Morning Star”. it will be brightest in early autumn as it heads back down toward the sun, reaching its peak brilliance for this apparition on Sept. 23 at an eye-popping magnitude of –4.8. That would make it 23 times brighter than Sirius, the brightest star. 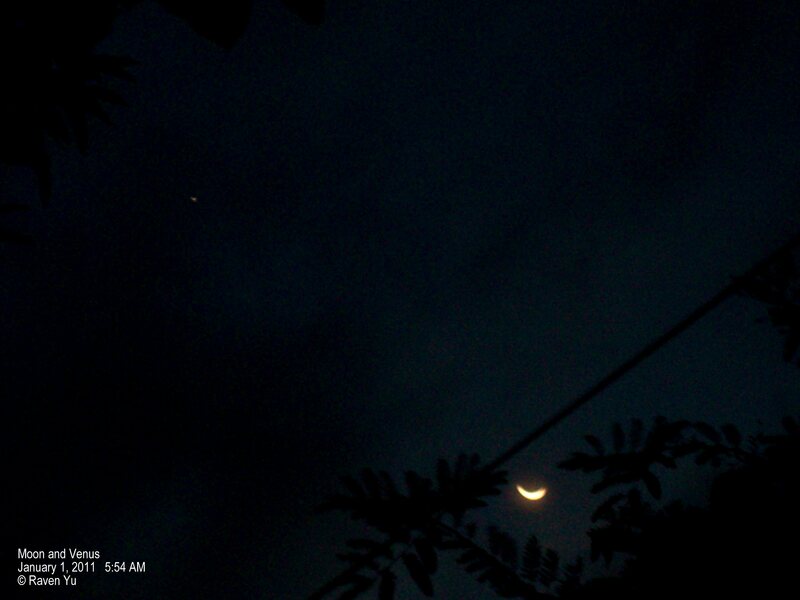 Venus then quickly fades, vanishing from view in mid-October, and passes inferior conjunction on Oct. 28. 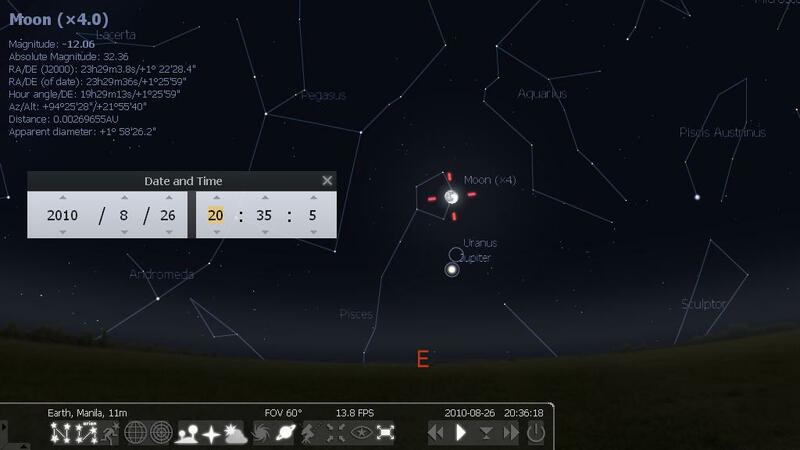 The night sky on August 26 will be dominated by Jupiter and the waning gibbous moon. They can be seen in the east by mid-evening, after brilliant Venus has disappeared beyond the western horizon. Rising just an hour or two after sunset, Jupiter and the moon can be viewed for the rest of the night among the faint stars of the constellation Pisces the Fish. With a bright moon passing near them, Pisces’ dim outline might not be visible except from very dark locations. Still, a prominent asterism – or noticeable pattern of stars – can be glimpsed near Jupiter and the moon on that night. It’s called The Circlet in Pisces. Jupiter, is slowly increasing in brightness as it heads towards its opposition and closest approach to Earth in 12 years just next month, September 21 . This time is the best chance to view and photograph Jupiter and its moons. The giant planet will be as big and bright as it gets in the night sky. A medium-sized telescope should be able to show some of the details in Jupiter’s cloud bands. The brightest planet in the solar system, Venus will appear especially prominent because it will climb to its highest point in the evening sky upon reaching its greatest elongation. It will lie 47° from the Sun, its maximum distance for this appearance. Also on this night, the planet Mars will lie just 2° above Venus. (That’s approximately the width of one finger when held at arm’s length.) 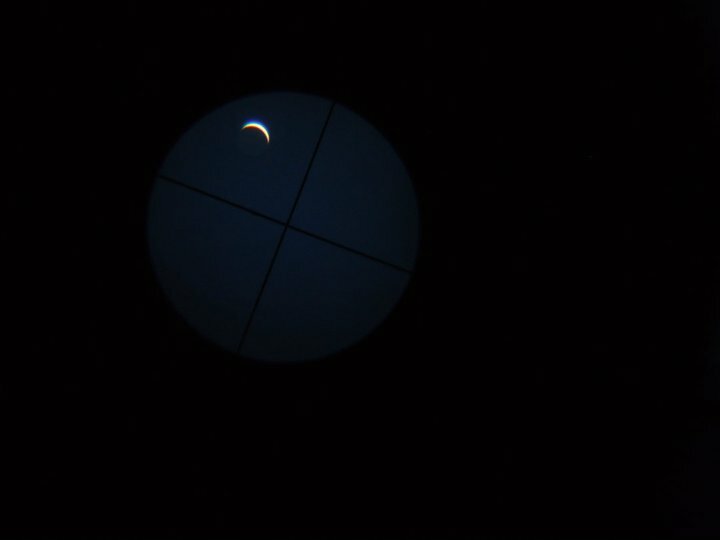 Using binoculars will help bring it to view because it glows less than 1 percent as Venus. The planet Saturn lurks approximately 10° to Venus’ right and the star Spica in the constellation Virgo sits 10° to Venus’ left. 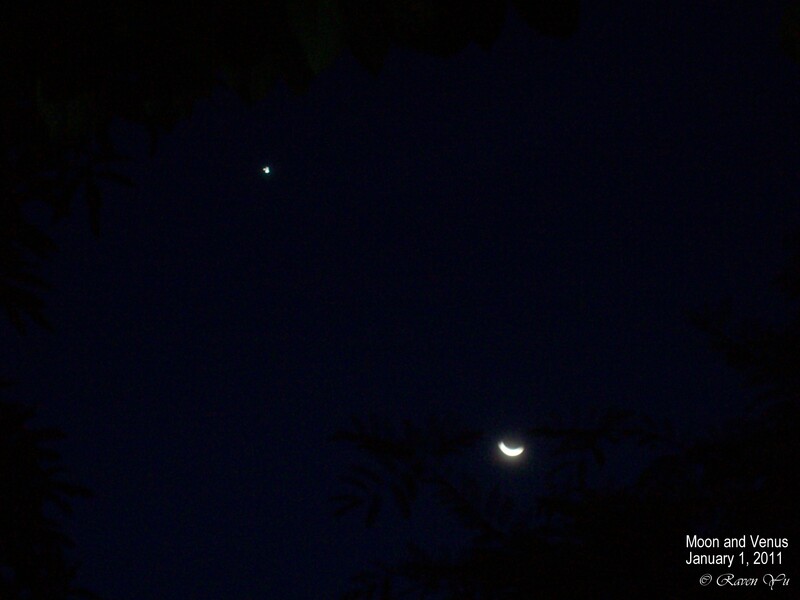 Both shine a little brighter than Mars but fall far short of dazzling Venus. 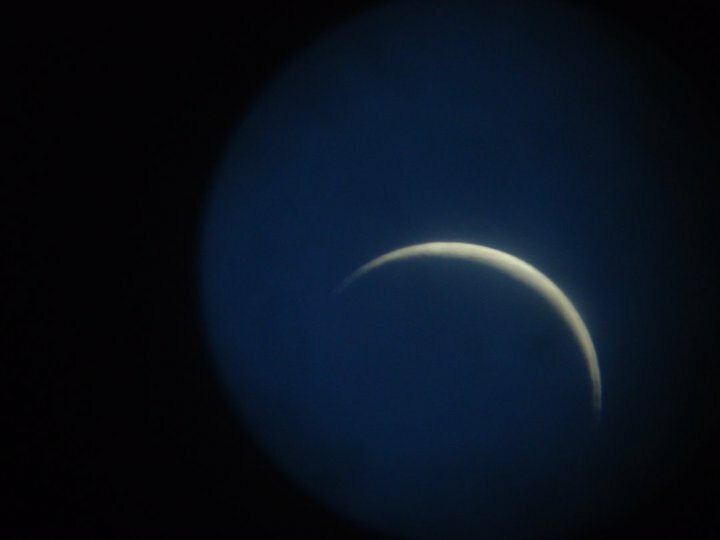 Although naked eyes and binoculars offer the best views of the evening scene, anyone with a small telescope will get a thrill from targeting Venus. At greatest elongation, Venus looks like a miniature version of a First Quarter Moon, with one half in sunlight and the other in darkness. On the other hand, the planet Neptune will be in opposition (opposite the sun in the sky and closest to Earth) and will be highest in the sky at local midnight. 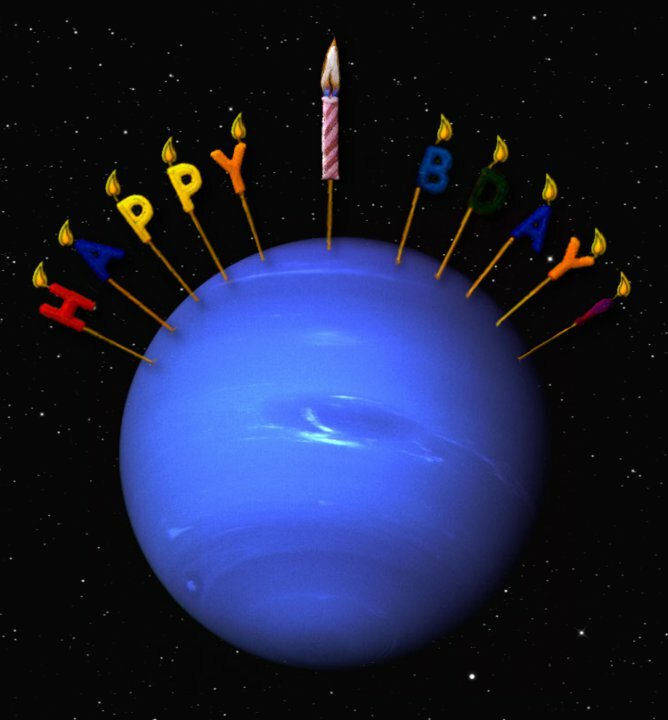 This opposition is special because Neptune will be returning close to the spot where it was discovered in 1846, marking its first complete trip around the sun since its discovery. To find Neptune, look for the large but faint triangle of Capricornus, to the left of Sagittarius and the Milky Way around 1 a.m. this week. The two stars at the left end of the triangle point the way to Neptune, just a little bit short of and above the star Iota in the neighboring constellation Aquarius. In a small telescope or even binoculars, Neptune will look just like a star; what gives it away is its distinctive blue-green color. 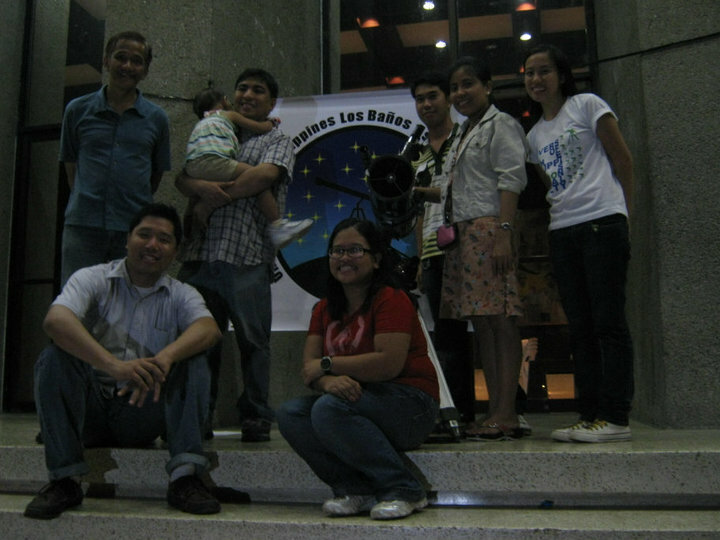 The University of the Philippines Astronomical Society (UP Astrosoc) invites everyone to its public observation of the spectacular Perseid Meteor Shower and planetary grouping of Mars, Venus, Saturn and Mercury on August 13th (Friday) from 6pm to 6am of the following day at the PAGASA Observatory Sun Deck in the University of the Philippines Campus, Diliman. Likewise, the UP-Los Banos Astronomical Society (UPLB Astrosoc) will hold an Astronomy Camp entitled “Astra La Vista: The First Encounter” also on the 13th at D.L. 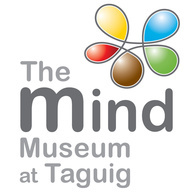 Umali Hall in UP Los Banos, Laguna. 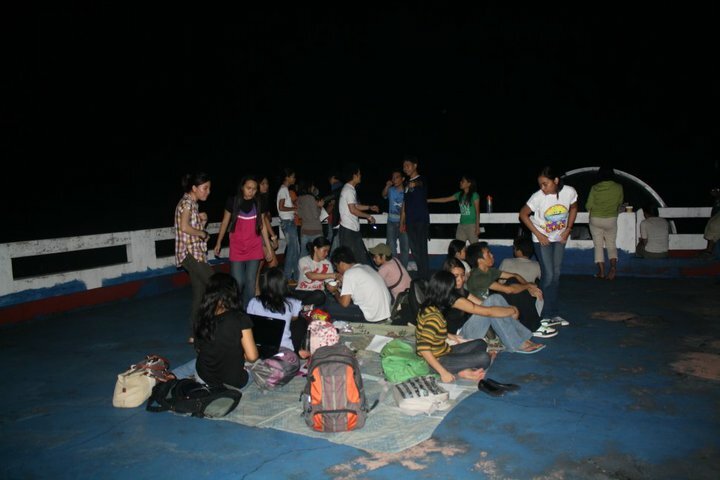 Aside from observing the Perseids and the planetary grouping, this event will be its launching activity as well. So don’t forget to mark your calendars on this date, list down your wishes and watch these events from your local areas.